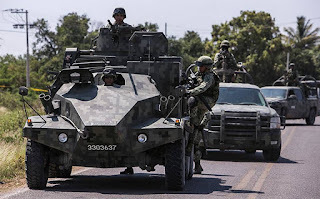 Mexican soldiers and police killed the security chief for jailed drug kingpin Joaquin "El Chapo" Guzman. 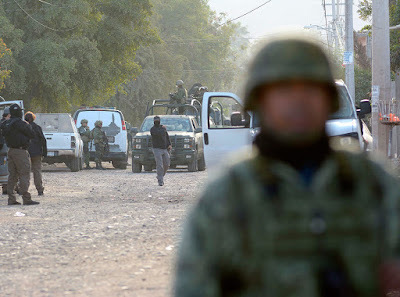 A shootout erupted when security forces raided a building in Culiacan, the capital of Sinaloa state, where Guzman's Sinaloa cartel is based. Two people were killed in the gunfight and three arrested. 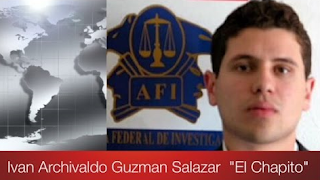 Officials identified one of the dead as Luis Alfonso Murillo Acosta, head of security and a hitman for El Chapo's son, Archivaldo Ivan Guzman Salazar. Murillo Acosta is accused of coordinating a September 2016 attack on army troops that killed five soldiers and wounded 12. El Chapo, 60, was one of the world's most powerful drug traffickers. 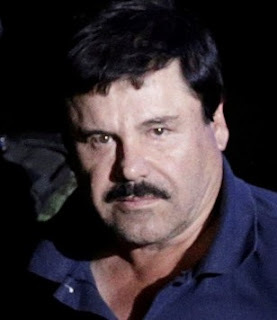 His reign was cut short in January 2017 when he was extradited to the United States following his capture after an escape from a Mexican prison. Guzman is accused of trafficking more than 200 tonnes of cocaine into the United States.